Every Christmas Eve we open up pajamas that we get to wear to bed and then wear on Christmas morning. 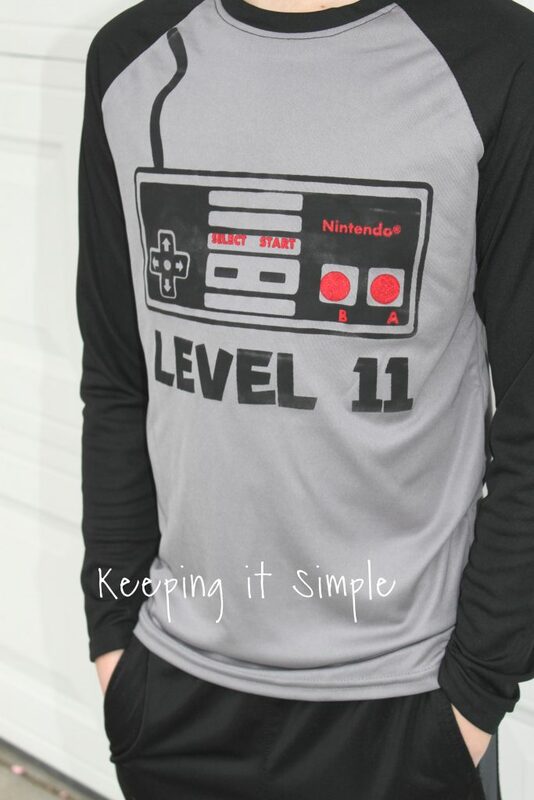 Well as my boys are getting older, it’s harder to find pajamas that have shirts that aren’t too warm (my boys are really warm sleepers) and that aren’t too young looking. 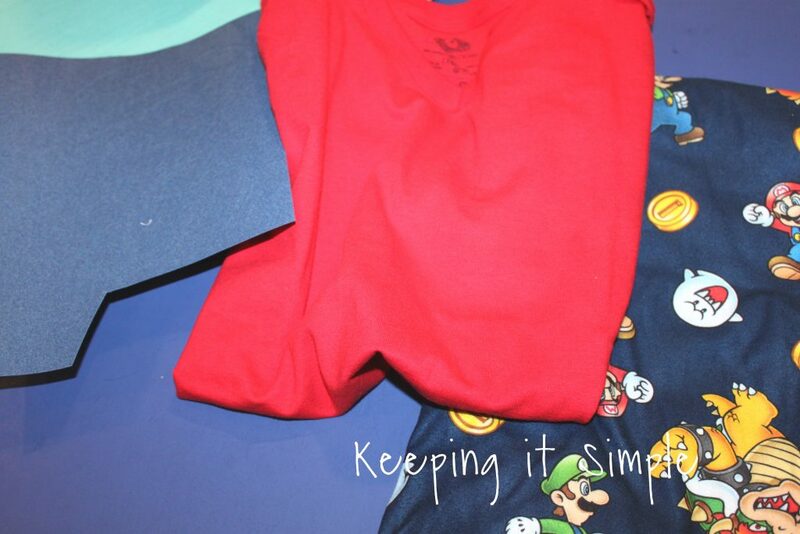 It is easy to fine boy pajamas that are just the pants but not a set. 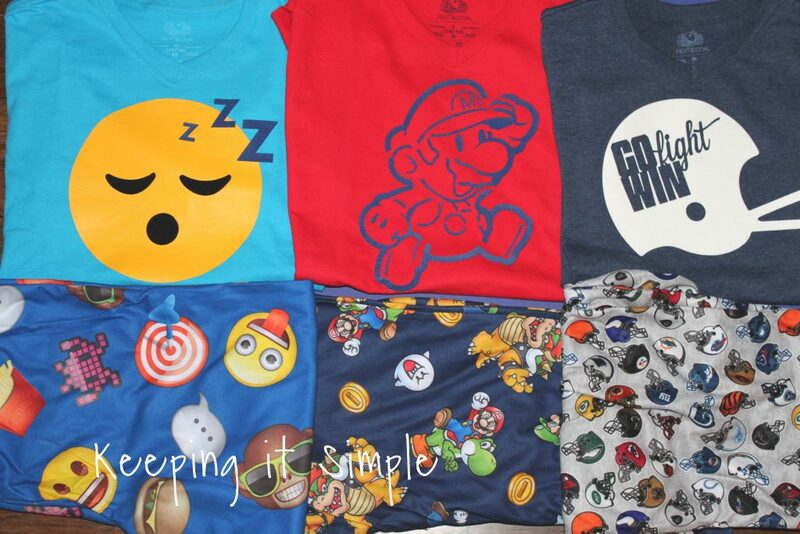 So I found some super fun pajama pants for the boys and then made them a shirt to go with it. My boys are into very different things right now, so I made up an emoji one, Mario and then a football one. Here is a quick video to show the process of making all three shirts. 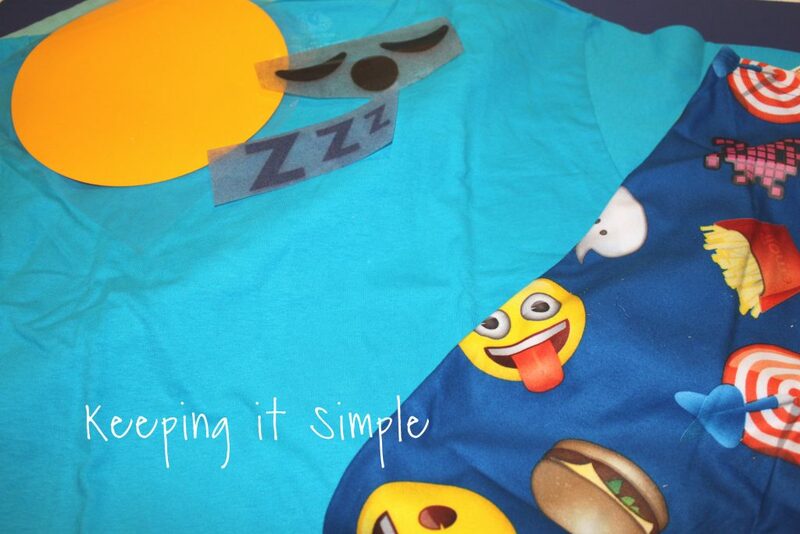 This is how I made the boy pajamas. Once I cut out the mirrored image, I then weeded the HTV. I then ironed the vinyl onto the shirt. 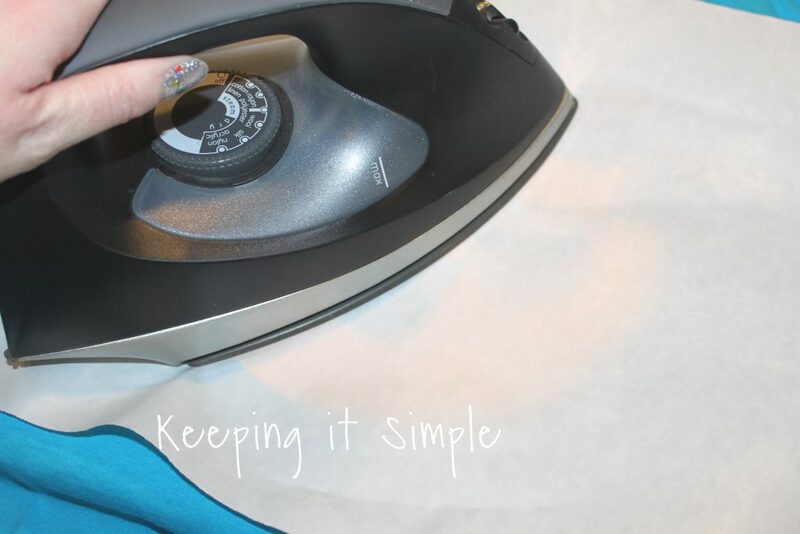 You will want to put the iron onto a spot for 5-7 seconds and then move to another spot and continue doing that until all of it is ironed on. 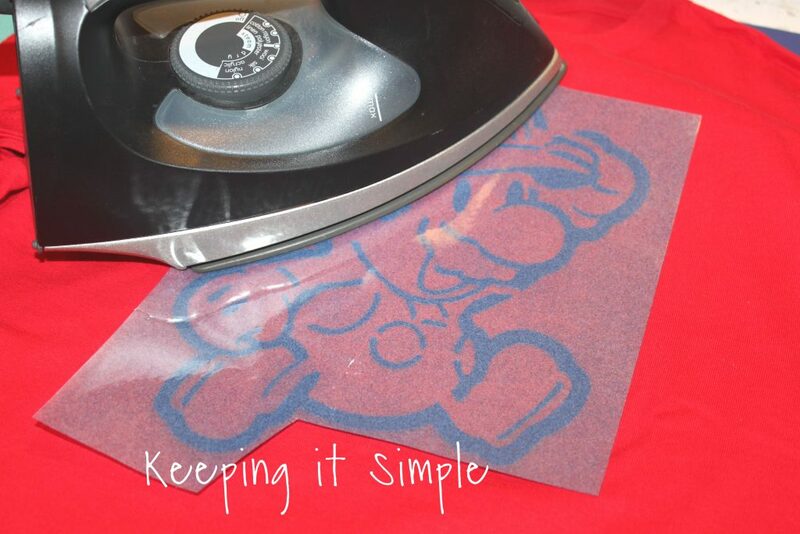 With flocked heat transfer you will want to wait until it is cool before you peel off the plastic. If you don’t then it will start to come up with the plastic. 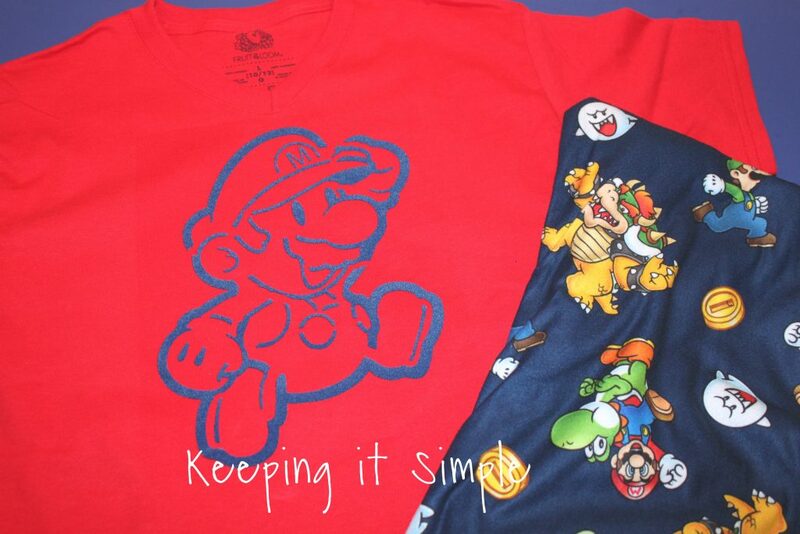 And that’s it for the Mario shirt. 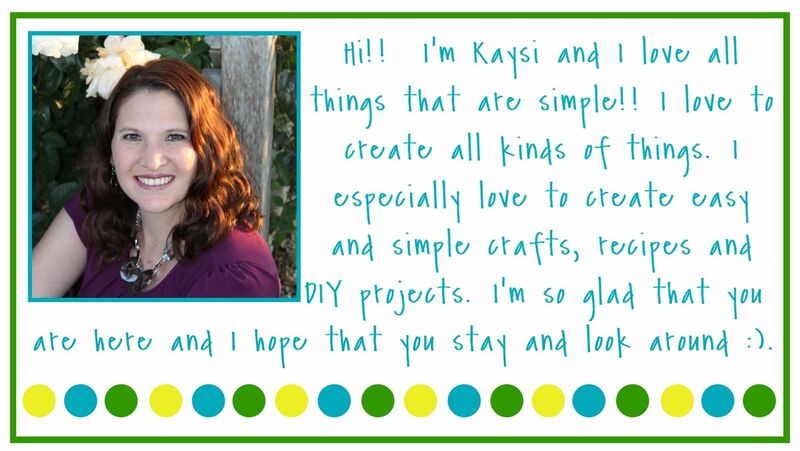 I love this design, it’s a fun one! I’ve made a few shirts with it before :). And here is it with the pajama pants. Now for the emoji set. 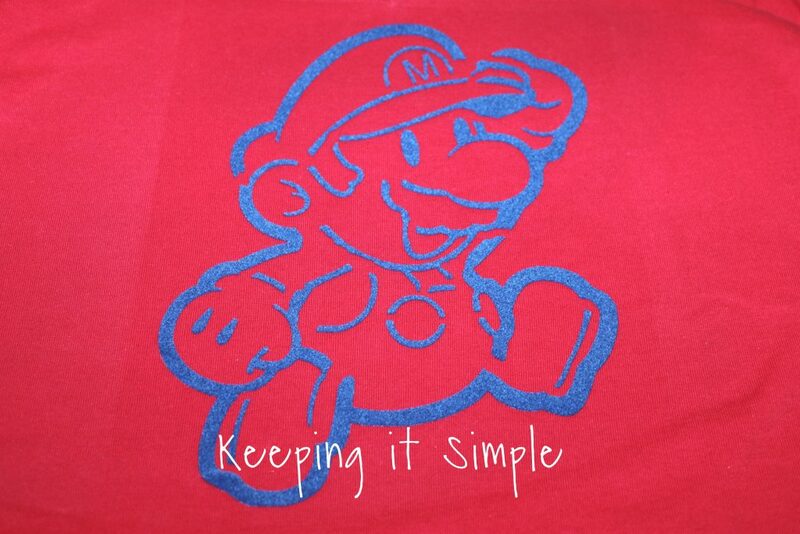 This one is a little different because I layered the heat transfer vinyl. For the head I used a smooth heat transfer vinyl and then for the face and Z’s I used the flocked heat transfer vinyl. The face was in black and the Z’s were in navy blue. The first thing I did was ironed on the yellow head and then peeled off the plastic (with smooth HTV you can peel it off when it’s hot) and then I put the face and Z’s onto it. 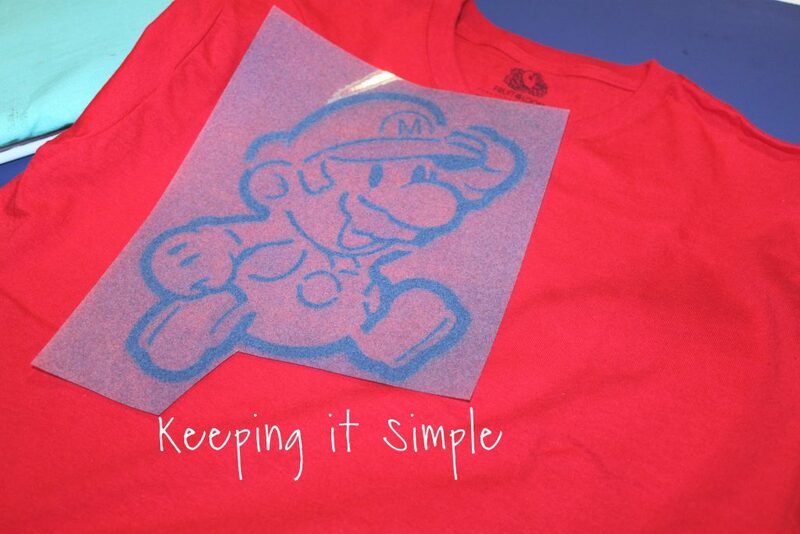 Since the plastic was off of the head, you have to use a multi use paper to cover the design and then iron on top of it. 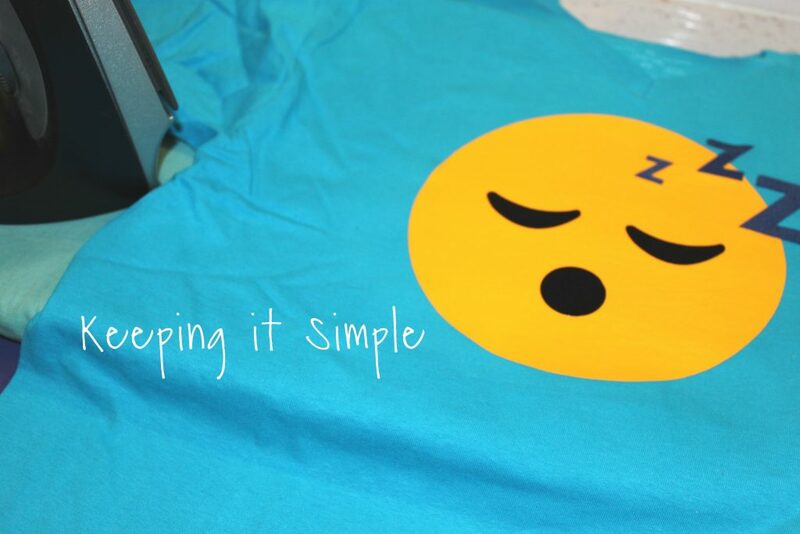 And that’s it for the emoji shirt! 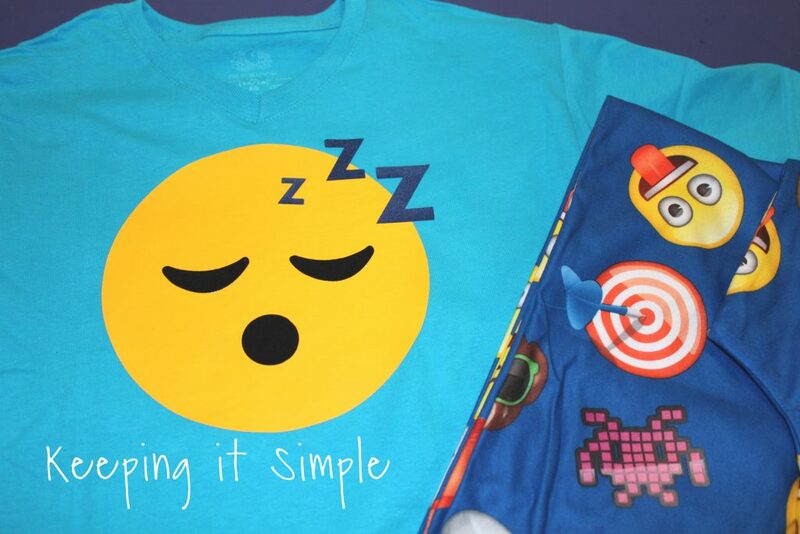 I think that the sleeping emoji is perfect for boy pajamas. And here it is with the emoji pajamas. And now for the football one. 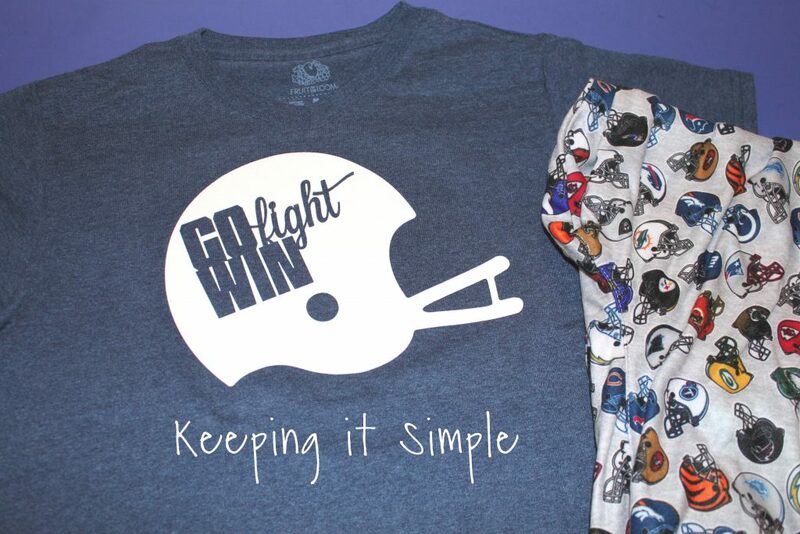 My son is obsessed with football right now, so I of course had to get him some football pajamas. 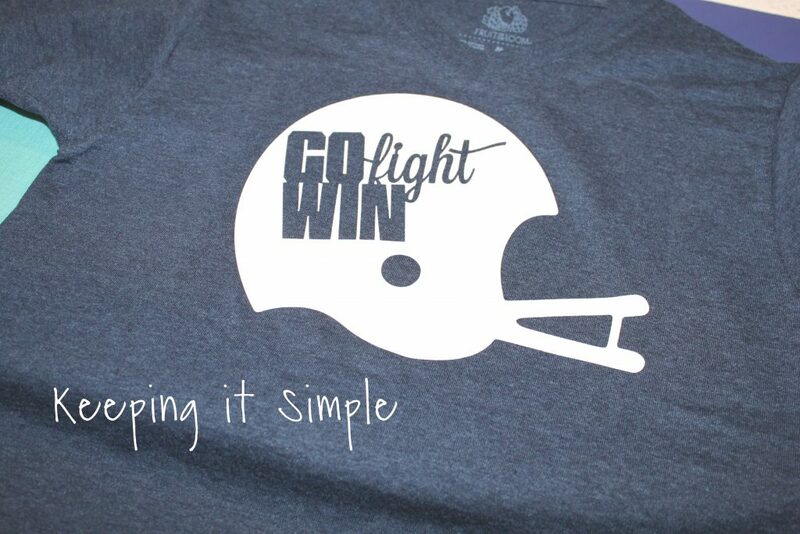 Since he has 2-3 favorite football teams, I just did a generic helmet on the shirt. I cut it out of white flocked heat transfer vinyl. I had the words be cut out of the helmet but you could easily layer it and add another color if you wanted to. I did the same thing as I did for the Mario one, pretty easy but it looks awesome! The white flocked heat transfer vinyl is my FAVORITE! I love how it looks on dark colored shirts. And that’s it for the football ones. I found some sweet NFL pajamas to go with it. Here are all three sets. They boys will be so excited to open up their pajamas on Christmas Eve. Love this idea? 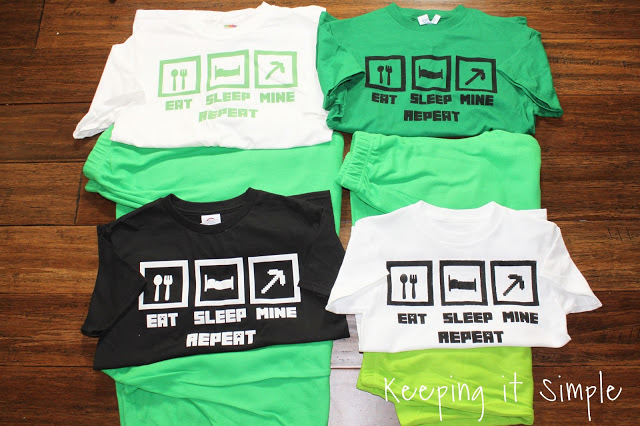 Then check out the other shirts that I have made. 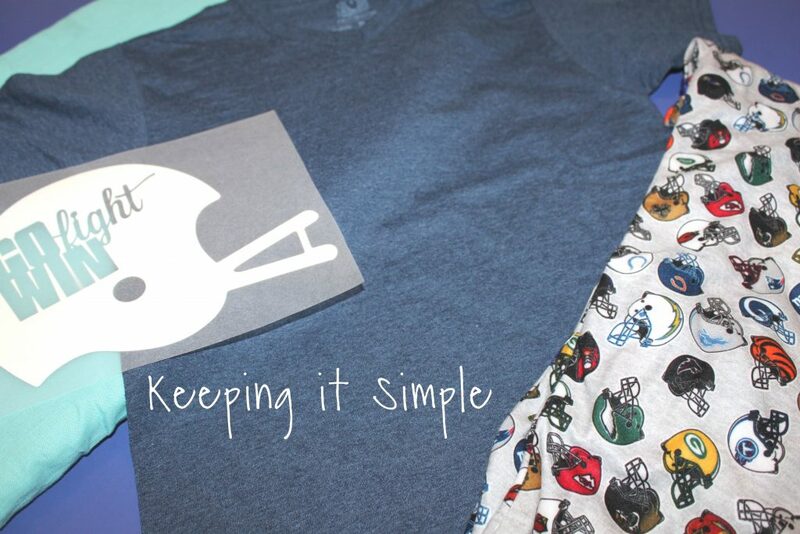 Filed Under: boys, clothing, fashion, gifts, heat transfer, kids, shirt, silhouette, tutorial, video tutorial.